Your post on social media speaks about your business. Social media plays an important role in digital marketing; never create profiles in a rush on any social media platform. Don’t post whatever and whenever you can, only to maintain being there on Social Media. Your brand’s presence on social media should be easy to identify and not be haphazard, let’s look into the key factors required for developing a strong brand voice. Brand voice reflects a way of expressing your business culture, one should start with defining the culture of your company, is it trendy or young, conservative or reputable or energetic, affectionate, logical and more. After deciding the right adjectives for your business culture, you then need to know the persona of your brand. You need to know what your clients and colleagues think about the business or brand. After understanding the culture of your company, next, you need to develop the tone. Tone the essence of your brand voice, tone can vary, depending on the types of audience or the situation. Along with tone, language, purpose and persona are also vital. Language is the words that are used to communicate with the audience and purpose the reason for communicating with them. If you want the voice of your brand to be effective, then it needs to be authentic. Social media is useful in keeping the audience engaged and also in boosting the conversion rate. A great voice sounds more like you’re communicating with a person and not with a company without a face. To maintain a steady presence on all social media platforms, you need to think prior to your post, and not post something that is not in sync with the business or your brand. IT Services will make sure; your post is valuable and will fit the voice of your brand. To reach an outstanding brand voice, you getting personal with the audience really works, always address feedback or complaints personally. 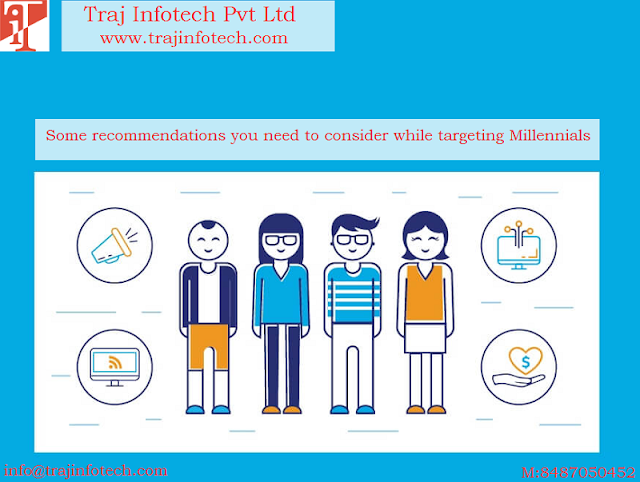 Be warm and friendly in your reply, Traj Infotech, Digital Marketing in Ahmedabad, can help your brand connect with the audience better. 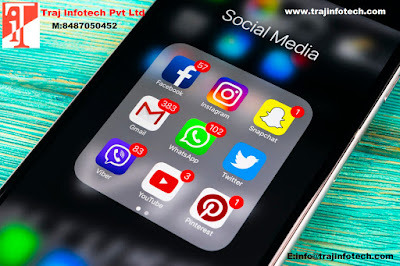 Digital Marketing Company in Ahmedabad - Traj Infotech Pvt. Ltd.